It has been established that Clyde Bergemann Africa (CBZ) has been unable to pay the salaries and wages of its approximately 400 staff and workers for the month of January 2019. CBZ workers have downed tools and walked off site at Medupi and Kusile, where CDZ is the main contractor directly to Eskom Group Capital for the design, supply and installation of ash handling systems at the power plants. CBZ workers are said to have already downed tools on the operational boiler units at Majuba and Camden, and moved off-site. Service work on the operational units at Medupi, Tutuka, Kendal, Kriel and Matla power stations appears to be continuing for the time being, but the workers are apparently “on tenterhooks”, and could down tools at any time, according to informed sources. Ongoing boiler cleaning and soot blowing within operational coal-fired boilers are critical to ensure adequate heat transfer to the boiler tubes, and to prevent the build-up of clinker (slag) within the boilers from non-combustible elements of the coal used. In a relatively short time, failure to clean boilers, remove soot and prevent the build-up of clinker within a boiler causes boiler tube leaks and partial load losses as the output of electricity from the generation unit is reduced. In addition, the build-up of clinker can cause masses of up to a ton of slag to break off and fall 30 to 40m, damaging the bottom boiler tubes and boiler walls, with attendant unplanned outages. 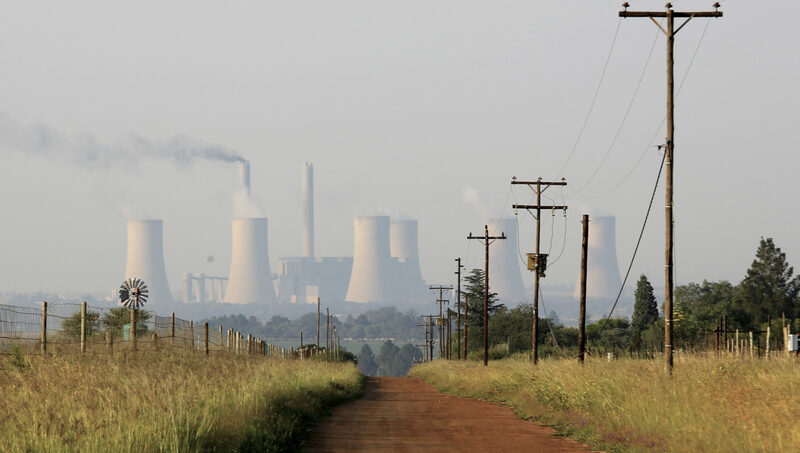 Eskom head of risk and sustainability, and acting head of generation, Andrew Etzinger, downplayed the risk to the security of supply through CBZ failing, and indicated that no red flags had been raised by individual power station managers. He further indicated that Eskom subsidiary Rotek Industries/Roshcon would be able to step in where necessary. CBZ managing director Jeremy Kirsch explained that causes of the company’s financial problems are long-standing and complex, but are very significantly exacerbated by long outstanding claims of some R150-million for work done by CBZ for Eskom Group Capital at Medupi and Kusile.